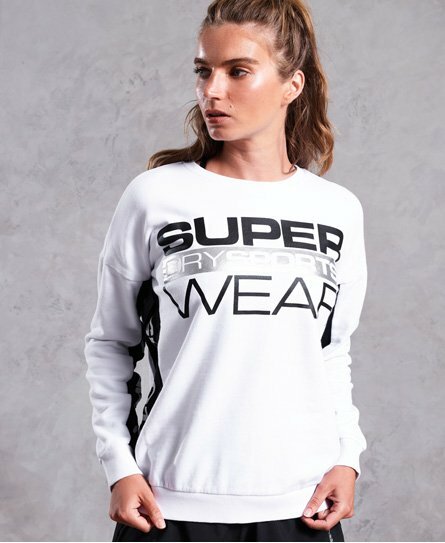 Superdry women’s Sportswear Street crew neck sweater. This crew neck sweater is the perfect layering piece to wear pre and post workout, and features a crew neck and ribbed hem and cuffs. With panelling and logo detailing down the sides and sleeves, the Sportswear Street crew neck sweater is the perfect on-trend update for your wardrobe. This sweater is completed with a large vertical zip down the back with a breathable mesh underlay, and a Superdry Sportswear logo graphic across the chest.